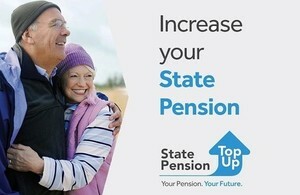 Changes introduced from 6 April 2015 allow people to access their pension savings more freely and easily than before. Please view our video which focuses on some of the more important points. We have also produced a booklet which helps explain matters in more detail. aims to help you understand the tax treatment of the options available within the new, more flexible, regime. is based on our current understanding of the Taxation of Pensions Act 2014, and the Pension Schemes Act 2015.
does not cover every small detail, as the rules are complex – it is a broad guide only. does not cover more complicated arrangements like taking money out of a pension and then putting it back into another scheme (sometimes called ‘tax free cash recycling’). If your plans include these complications, you will need to take professional advice, and will probably have to pay for it. is aimed at people on relatively low incomes with smaller pension savings – generally those who have income of £20,000 a year or less. If you would like to obtain a copy of this form, please follow this link to our contact form.